Rwanda has put in a lot of efforts in the development of the tourism sector which has helped in attracting more safaris to Rwanda; this has been done through the improvement of roads financed by the government. This has helped in improving the tourism sector hence increasing the number of tourists to the country. Many roads to the main tourist attractions like the national parks have been renovated and this helps to ease the accessibility of the national parks for the tourists who come for safaris to Rwanda. This greatly helps in attracting more tourists to Rwanda and also developing the tourism sector of the country. 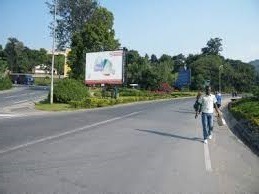 The development of roads in Rwanda has help in promoting domestic tourism in the country since the local people are also encouraged to fully participate in tourism development in the country, this is to help in increasing the number of tourists who safari Rwanda . The roads with in the national park have also been renovated in order to encourage the proper movement of the tourists who come for safari tours in Rwanda. These can also be used for game drives and nature walks with in the national parks. The government of Rwanda has however come up to fund all the projects which are to help in developing the tourism sector in the country, This has greatly helped in developing the country.